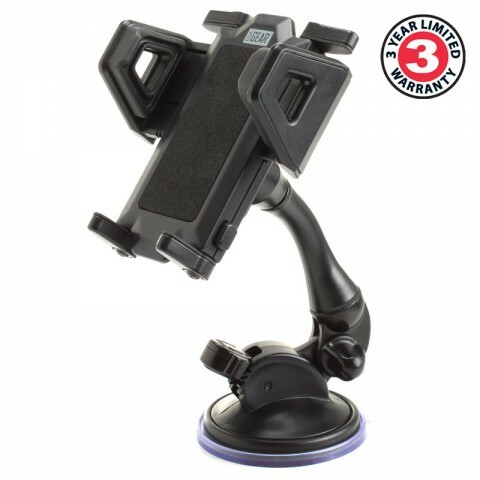 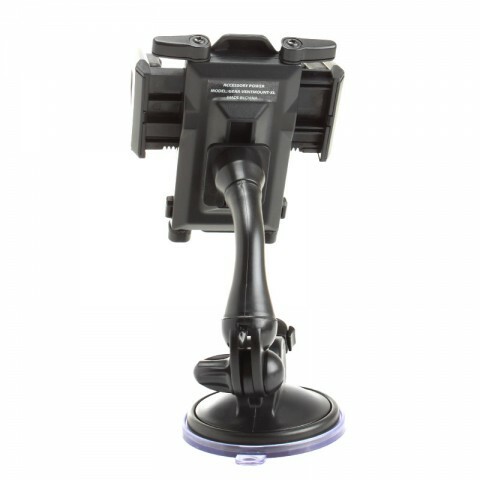 The USA GEAR suction mount is designed to secure onto windshields, windows, dashboards, desks, tables and more! 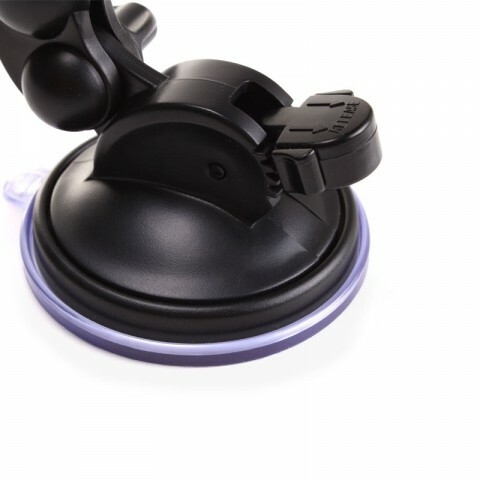 Complete with a strong suction cup to adhere to many surfaces and a quick-release locking system for quick and easy removal. 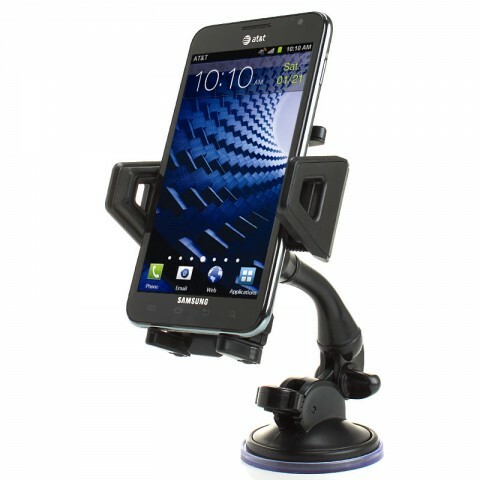 Easily stow away while not in use, or transport the mount to your next location. 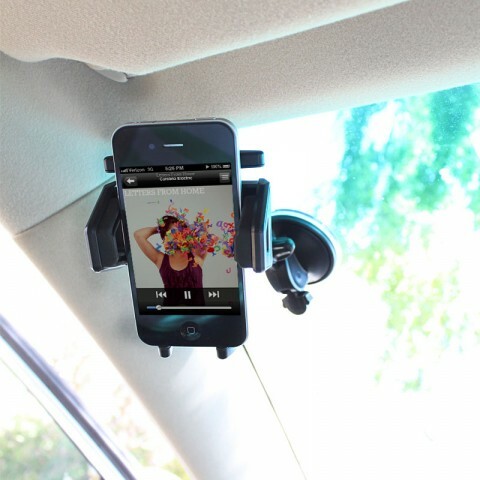 While your phone is secure between the strong and adjustable clamps, enjoy music, take hands-free calls, recharge, listen to GPS diections and utilize other apps! 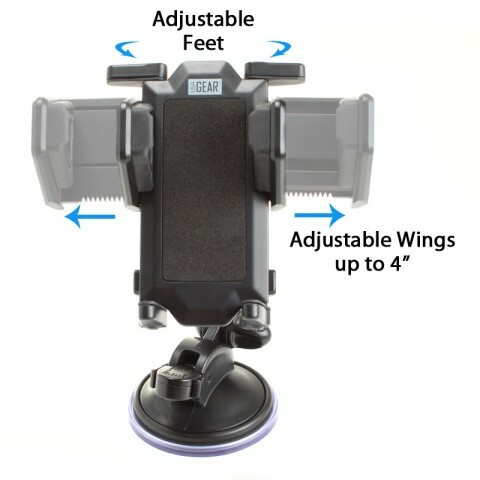 Customize the iewing angle with several adjustable features. 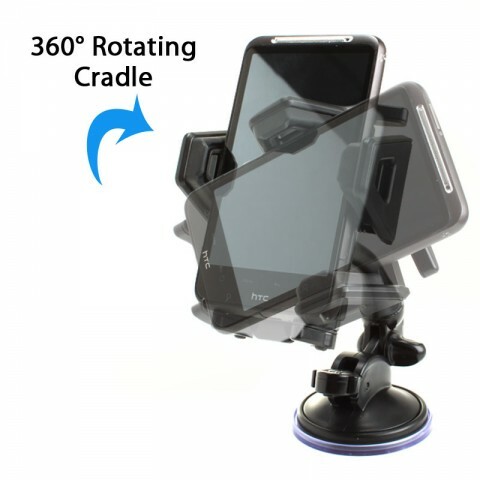 The adjustable neck has a 180 degree rotation range and the mount cradle a 360 degree rotation so positioning & customization can be done in one easy touch.! 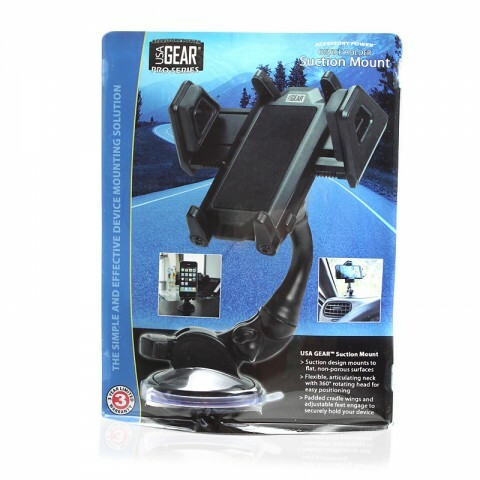 The durable, padded cradle wings and adjustable feet provide a secure fit for your device through turns, stop-and-go traffic, and lengthy road trips. 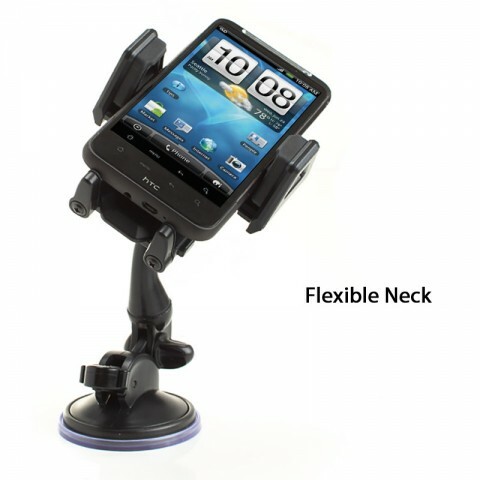 The modern and compact design makes this cradle dock ideal for keeping your car or work space orgainzed and easy to access.